Includes a Free Training Video from Meg! Experience a guided Meditation of the Quatum Access technique in this program! An audio excerpt of just this meditation is included as a download bonus so you can return to this highly effective process! According to quantum physics, the universe we live in resembles a sea of motion − a quantum field of vibrant activity. All matter in the Universe is interconnected by waves of energy that spread out through time and space, so that every part of the Universe is touching every other part instantaneously in a unified field of ether. These waves oscillate through space, like ripples on a pond, as carriers of information. All of life in the dynamic Universe emerges from a single pulse of light, from the multi-dimensional scalar standing wave pattern. Within the vacuum state of the Quantum Vortex beats the standing scalar wave of Singularity…the continual pulse of creation. It is the natural rhythm of life, like a cosmic heartbeat that fuels our Universe. There is growing astrophysical evidence that the vacuum structure found within the galactic zero point field also exists at the atomic scale level in our cells. As ancestors before us, we are discovering knowledge of the ancient mystery of Apotheosis. By tapping into the phi spin of Metatron’s Cube, we are able to integrate Soul energy inwards and release incongruent energy outwards. Humanity is returning to the natural counter-clockwise rhythm of the sun and stars. This extraordinary discovery was the inspiration for developing Meg Benedicte’s proprietary healing process, Quantum Access™. 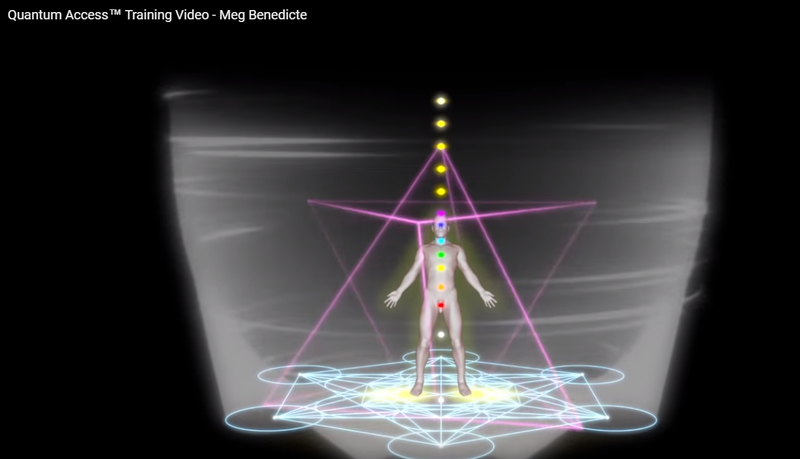 In 1994 Meg experienced a profound awakening that activated her unique portal access to the quantum field. 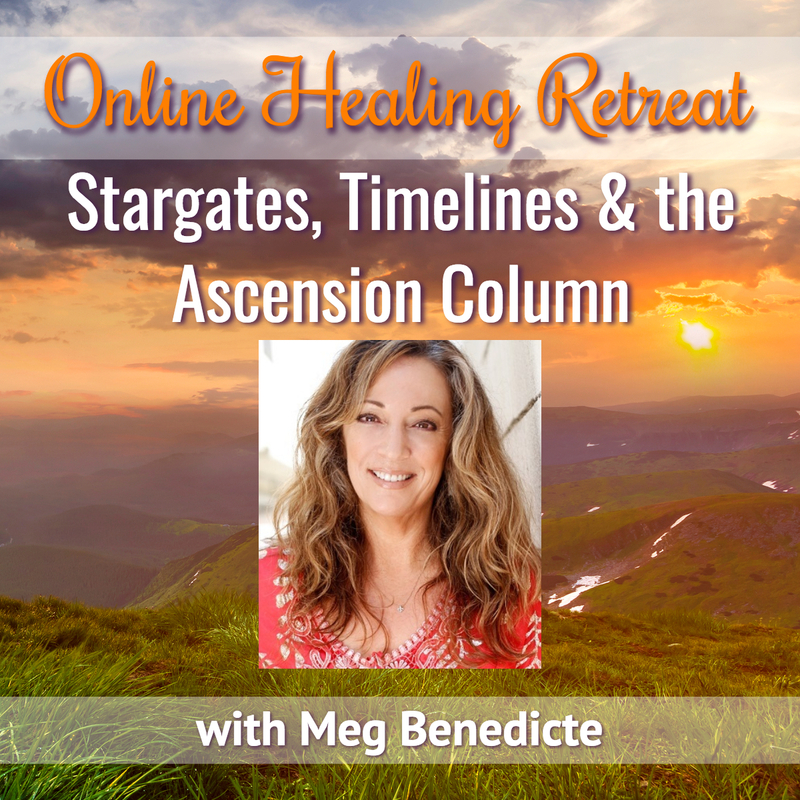 Meg offers Quantum Access™, to clients and students to quickly shift consciousness, unlock karma and remove energetic patterns so they can accelerate their personal Ascension. Quantum Access™ is the most effective, accelerated method to unlock molecular compression, time density and trapped emotional/mental/chemical information from the cells by neutralizing the gravitational field. The method of altering physical reality is the sacred tradition of Alchemy that was taught in the ancient Mystery Schools. The pre-dynastic Egyptians were initiated in Alchemy and could access the untapped power of Zero Point energy, the source of Creation (genesis) in our Universe. Through a series of initiations, the Egyptians learned how to gradually master the universal technology required to shift gravitational fields and particulate matter.